LITTLE ROCK, Ark. 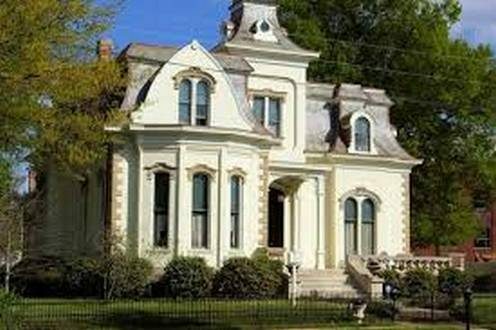 (AP) An Arkansas house built in the 1880s and portrayed as the Georgia workplace for the TV sitcom ``Designing Women'' has been sold to an attorney. The Arkansas Democrat-Gazette reported Thursday Villa Marre in downtown Little Rock was purchased by Steve Harrelson. ``Designing Women'' went on the air in 1986 and ran for seven seasons, featuring Delta Burke, Dixie Carter, Annie Potts, Jean Smart and Meshach Taylor. The exterior of the house was presented as being in Atlanta. Harrelson, who's a former Arkansas legislator, says he bought the home for $463,500 and will live in it. He'll also still allow Villa Marre to be used for weddings, receptions and tours. The residence was on the market since 2016. Details weren't immediately available on the seller.